For those who eat brussels sprouts more than once a year. This is a gem of a dish that we’ve done a few times now and an easy feature in any winter meal. Fry the pancetta in a non-stick frying pan for about 5 minutes or until crispy. Add the sprouts and cook for another minute. Add the stock and simmer for 15-20 minutes or until the sprouts are tender and the stock has reduced. Add the butter and season well but be careful with the salt, as the pancetta and stock should make this fairly salty already. 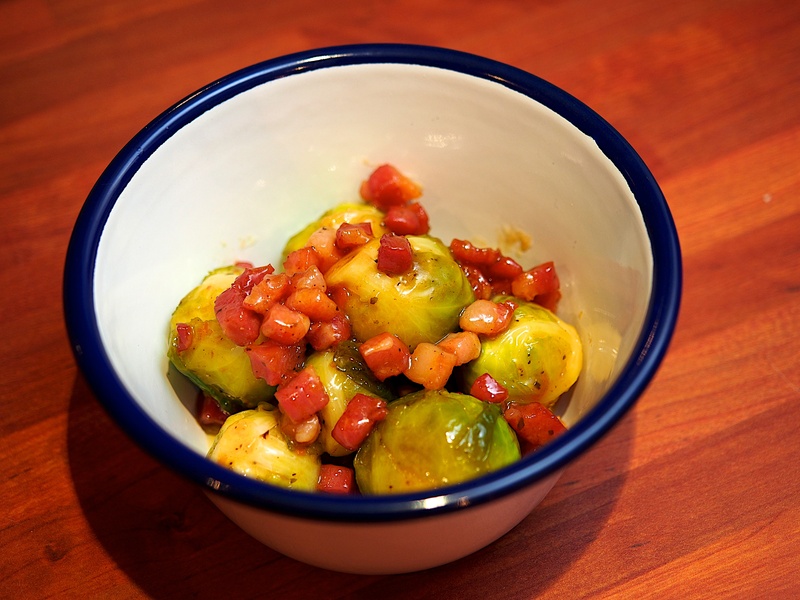 thank you – am tempted to do something with sprouts!